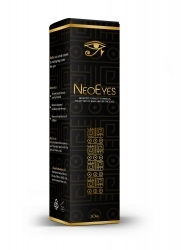 Philippines based company releases NeoEyes cream for smoothing the skin around the eyes. Manila, Philippines, February 23, 2018 --(PR.com)-- NeoEyes LLC, based in Manila, Philippines introduces their first product - NeoEyes cream, specially formulated to cope with the bags under the eyes. The cream's formula is a blend of plant extracts, including tea tree, spirulina and aloe vera. Tea tree is well known for its benefits regarding health as a whole. When applied externally on the skin it treats acne, reliefs symptoms of psoriasis and eczema, kills parasites and fungal infections. As a compound in NeoEyes formula, it helps to get rid of bags and swelling under eyes. Spirulina has a high content of vitamin A, vitamin B-12 and vitamin E, which are vital for skin’s health. The plant restores the production of collagen, thus reviving the skin around the eyes. Aloe vera acts as a moisturizer and brings back to normal the osmotic balance of under eye skin. Under eye skin is significantly thinner than the skin elsewhere on the body. Swelling and bags in this area, caused by excessive drinking, lack of sleep, make the face look older. Adequate care can keep the skin around the eyes look even and youthful by reducing the damages. Without turning to invasive procedures as needles or surgery, a natural approach could be quite effective in keeping this delicate area looking good. NeoEyes cream will first be spread in the Philippines, Thailand, Vietnam, and Indonesia. Within a couple of weeks, it will be available throughout Asia. Detailed information about how to use, full list of ingredients, current price and promotions, can be found at NeoEyes' official website.